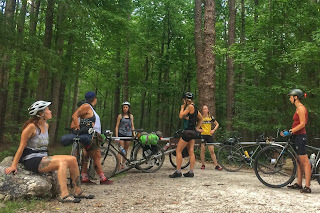 We are hosting a sub-24 hour (S24O) bike camping trip for any and all interested women/trans/femme identifying folks. Campout will be at Jordan Lake's Crosswinds Campground. The trip will depart from Seven Stars Cycles at 3:30PM on Saturday, July 22nd. 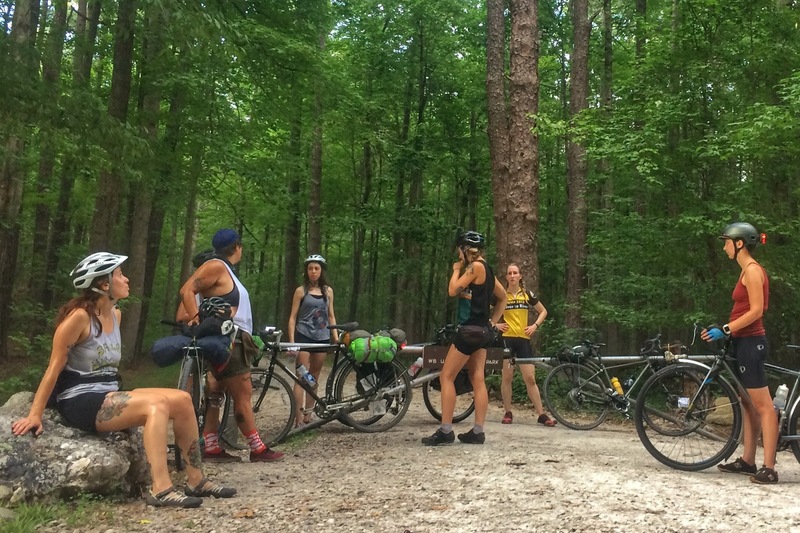 The route is approximately 24 miles to the campsite and much of it is along the American Tobacco Trail greenway. All participants will be responsible for packing and carrying their gear and food. There is a grocery store along the route and a convenience store just past the campground for super simple food options. We will depart the campground between 9 and 10 AM on Sunday morning to return to the shop. The campout will occur rain or shine unless heavy thunderstorms are forecasted for the majority of the time. Please register here! If you have any questions about this trip, contact lisa@sevenstarscycles.com.